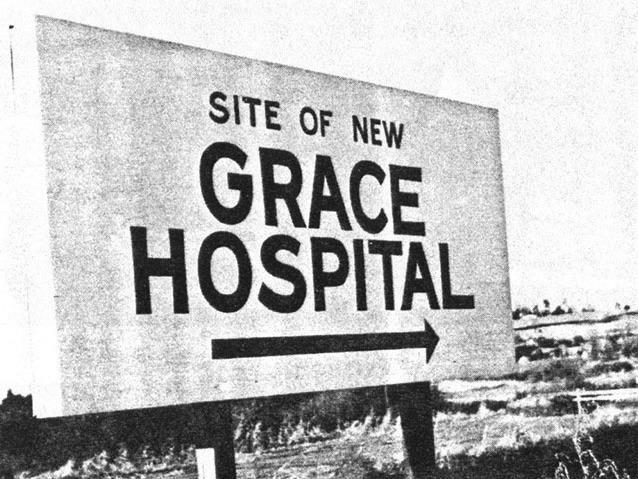 Construction of Moses H. Cone Memorial Hospital in Greensboro, N.C., was partially funded by the Hill-Burton Act. 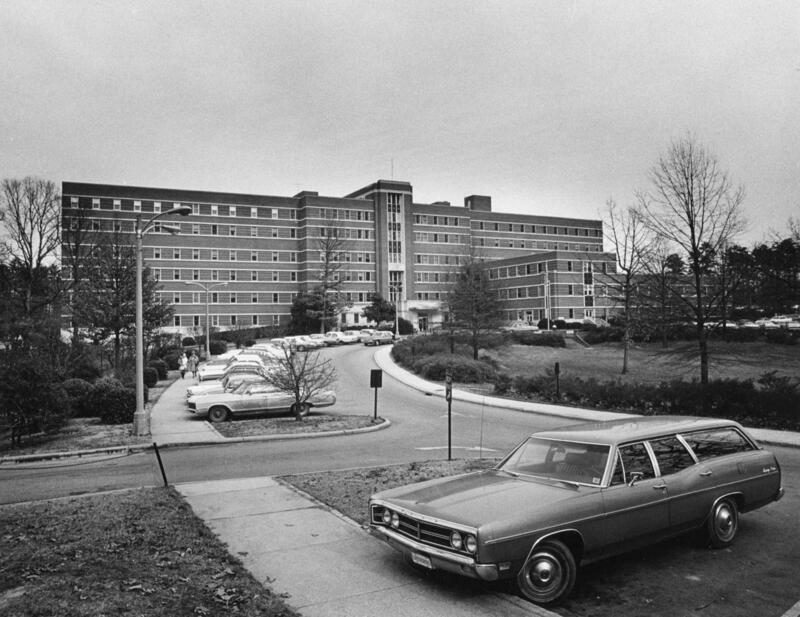 The hospital, seen circa 1973, was at the center of a court case, Simkins v. Moses H. Cone Memorial Hospital, that brought an end to racially segregated health care. Grace Hospital in Morganton, N.C., was funded in part by the Hill-Burton Act. Construction began in 1969. Known formally as the Hospital Survey and Construction Act, Hill-Burton started as a Truman initiative. In November 1945, only two months after the official end of World War II, he gave a speech to Congress outlining five goals to improve the nation's health. The first and least controversial of these called for constructing hospitals and clinics to serve a growing and rapidly demilitarizing population. "After the passage of Medicare and Medicaid, Hill-Burton ranks right up there among the most important pieces of health legislation in the 20th century," physician and historian Howard Markel told Shots. Hill-Burton introduced many ideas in health care financing that are still in use today. Chief among them is that hospitals receiving federal monies are obligated to provide free or subsidized care to a portion of their indigent patients. U.S. non-profit hospitals (still the vast majority) must demonstrate evidence of 'community benefit' to maintain tax-exempt status. Providing care to the uninsured is one of the most common ways to meet this obligation. Another idea rooted in Hill-Burton is federal-state matching, meaning that federal appropriations must be matched by dollars from states, which is how Medicaid is financed. Hill-Burton also has a poorly remembered dark side: Because of its provenance as a bipartisan law named for a Northern Republican (Sen. Harold Burton of Ohio) and a Southern Democrat (Sen. Lister Hill of Alabama), the law codified the idea of "separate but equal" in hospitals and health care facilities. In order to achieve compromise and the necessary Democratic votes for passage, Southern Democrat segregationists had to be appeased. When this aspect of the law was overturned in a federal court challenge in 1963, Hill-Burton went on to become a major driver of hospital desegregation. It seems worth noting that Sen. Hill's surgeon father named him after Dr. Joseph Lister, a pioneer of antiseptic surgery. A month after enactment of the law, Truman, a Democrat, appointed Republican Sen. Burton to the Supreme Court in a bipartisan gesture that doesn't seem imaginable in today's polarized political landscape. And consider this: Burton was unanimously approved by the entire Senate the same day he was appointed. With no committee hearings! He joined the court the very next day. "Hill-Burton speaks to an earlier time in our history when the American people and those who represented them had confidence that government could do good things," Markel said. "And that makes it all the more phenomenal to me." John Henning Schumann is a writer and doctor in Tulsa, Okla. He serves as president of the University of Oklahoma-Tulsa. He also hosts StudioTulsa: Medical Monday for KWGS - Public Radio Tulsa. You can follow him on Twitter: @GlassHospital. Copyright 2016 KWGS-FM. To see more, visit KWGS-FM.